Anyone looking for a fast racing drone might be interested in the new contender which has been launched by Kickstarter this week in the form of TANKY. The TANKY Drone team are hoping to raise a massive $225,000 over the next 30 days to take their racing drone into production and beyond. Early bird pledges start from $225 and include four sets of propellers and spare parts with delivery expected to take place during November 2016. Check out the promotional video below to learn more about TANKY and its unique racing features that will help you get the most from your racing experience. The development team explain a little more about its design and features. You might be familiar with DJI’s Phantom or Inspire aerial photography drones or any number of “selfie” drones available on the market and on Kickstarter at the moment. If you want to push a camera around through the air those drones are perfect. However, Tanky is different! Other drones are designed to take video of exciting moments in your life, Tanky is meant to BE the exciting moment in your life! Photography drones are perfect for doing what they do—take smooth and steady videos—but you don’t get to fly them, they fly themselves. You merely get to suggest where they should go. We wanted to build a drone that gives you full control. 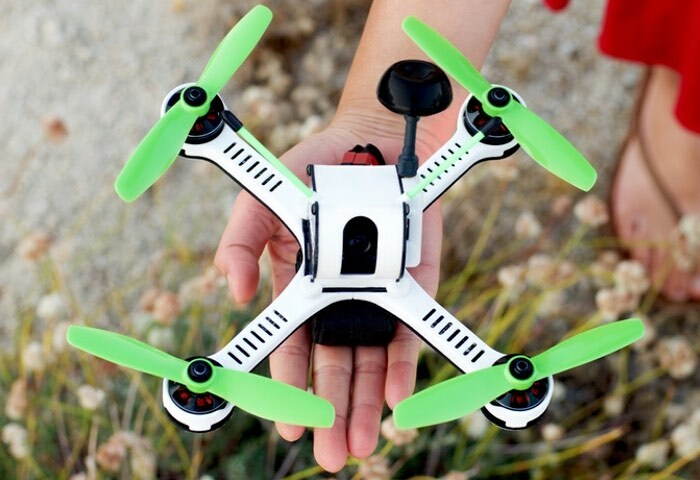 A drone that does exactly what you want it to do, when you want it. A drone that can go incredibly fast, flip, roll, and race through the trees, a drone that lets you truly experience flight, not just observe it. For more information on the new TANKY racing drone jump over to the Kickstarter website for details by following the link below.